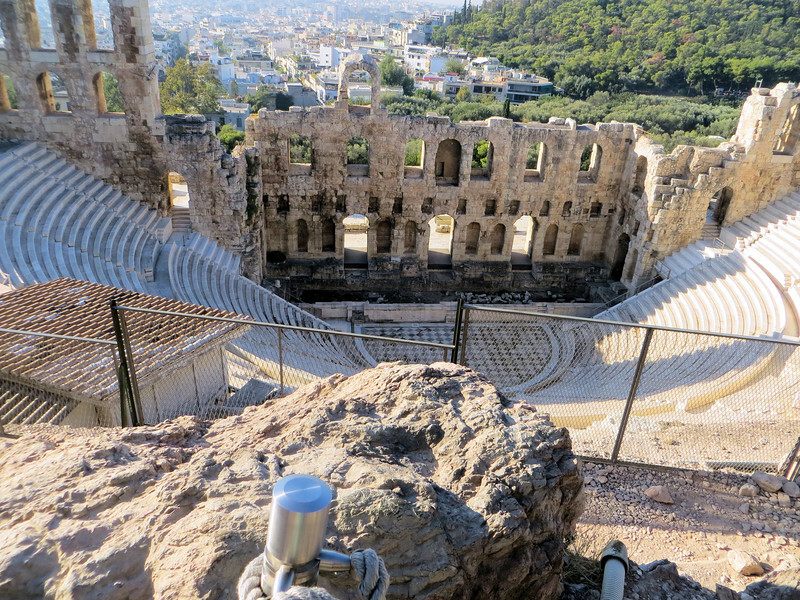 On your way upward you can stop for a moment and see the Odeon of Herodes Atticus. An odeon was used mainly for musical performances. Unlike amphitheaters, it would have had a roof. This one seats 5,000 people and, according to our guide, is still used for performances sometimes.